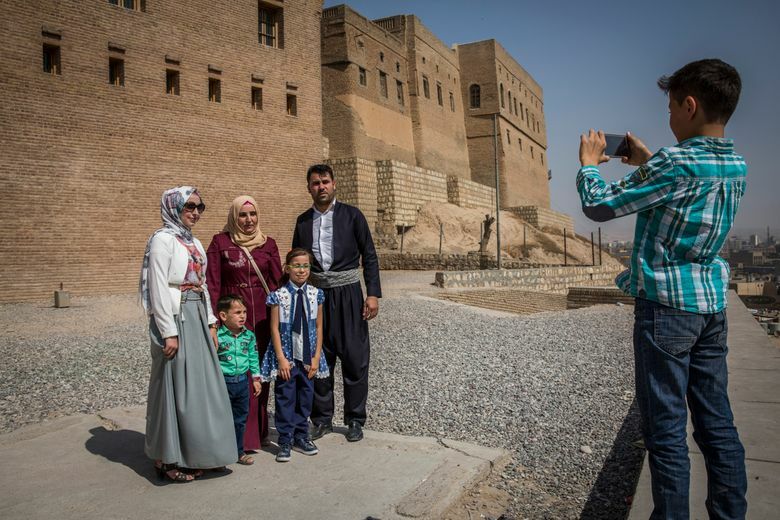 The Irbil citadel predates Iraqi Kurdistan, the Kurds and for that matter Arabs, Genghis Khan, the Persians, Greeks and Romans, all of whom passed this way. History is alive among its walls. 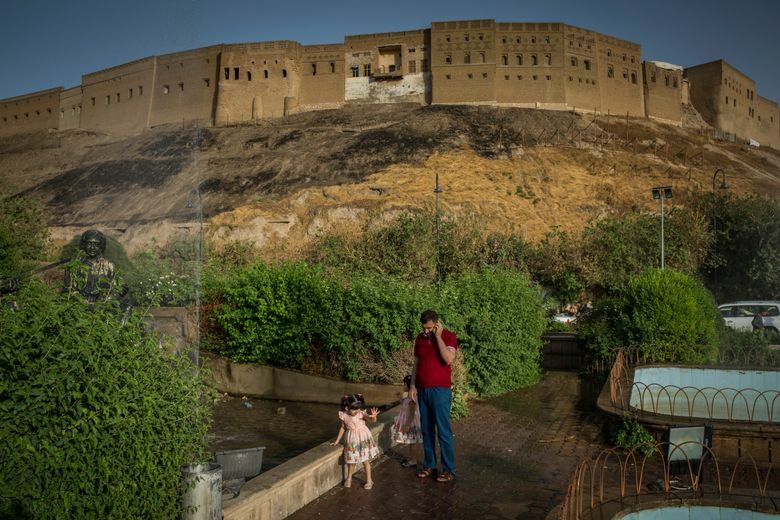 There are two ways to consider the imposing Irbil citadel, a huge mound 100 feet above the flat plain on which this city of 1 million sits. Two. 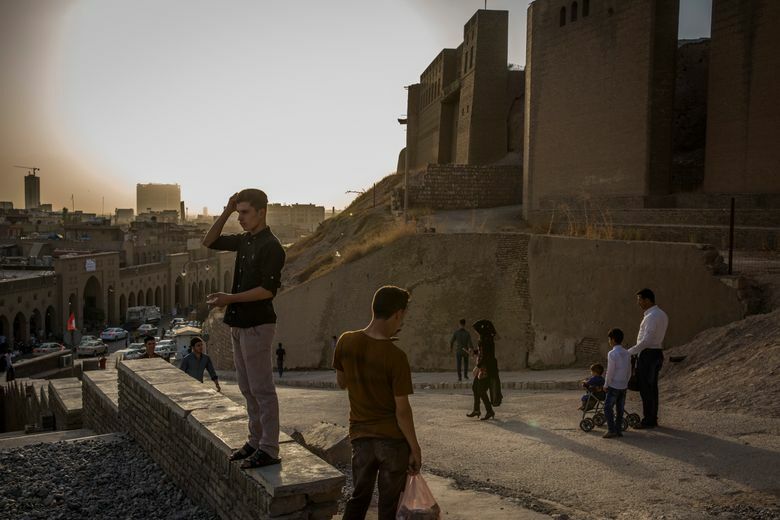 Six thousand years or more of human civilization have come to this: In the citadel’s central square is a tall metal pole with a Kurdish flag the size of a boxcar. Down in the new city, black smoke belches from dozens of rooftop diesel generators during daily power cuts. Their cacophonous roar disrupts the tranquility of the scene, while hanging over it all for days on end is the pungent smell of burning plastic from a nearby trash dump. Because of the regional Kurdish government’s ban on tall buildings in a buffer zone around the citadel, it retains a commanding aspect over the city and its ancient sobriquet as “the Crown of Irbil.” Even today, much of the road system in Irbil, the capital of Iraq’s Kurdish region, is arranged like the spokes of a wheel, with the citadel as the hub. May Shaer, an architect who was UNESCO’s project director on the citadel, said that there were other sites as ancient, and fortified cities as big, but that few combined a living city on top of a massive archaeological mound, connecting ancient and modern history in an unbroken stream. 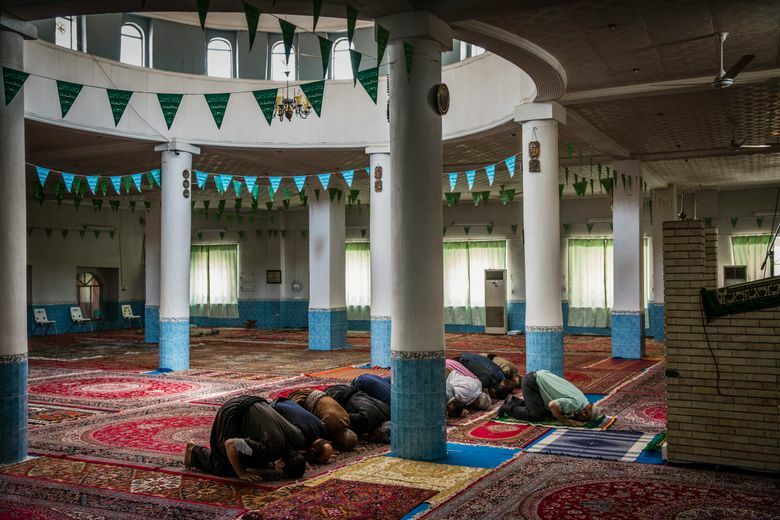 Being the corporeal embodiment of 6 millenniums of human history isn’t easy, Qader said. For one thing, he has to bring groceries in by handcart from the new city, up the steep entrance ramp to the citadel’s south gate. There’s no parking for visitors, and his children have a 25-minute hike to school. The Irbil citadel of course greatly predates Iraqi Kurdistan, the Kurds and for that matter Arabs, Genghis Khan, the Persians, Greeks and Romans, all of whom passed this way, most of them not nicely. It is on what archaeologists call a tell — a mound built up from the dirt and debris of successive human settlements, typically at the rate of 1 meter every 200 years. At 32 meters high, or about 100 feet, that suggests an age of more than 6,000 years, and there is evidence of habitation here in 4,500 B.C., during the Ubaid period, Yaqoobi said, when humankind was still trying to figure out the wheel. Qader was more concerned with domestic problems. His growing young family has gotten too big for their little house, and he doesn’t earn enough to expand it — plus that’s not allowed. He is employed as a government worker, managing the old (but not historic) water tower on the site, which provides water to shops at the foot of the tell. 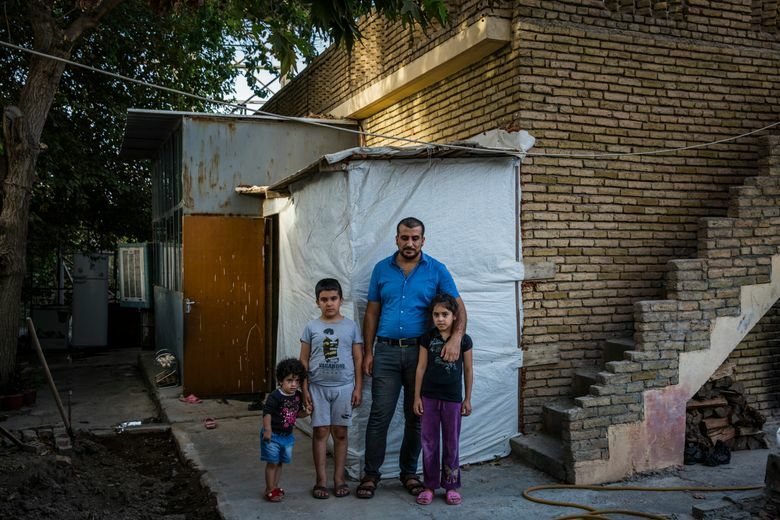 If this were a living community, then as Qader’s family grew they could move to a larger home. That is his proposal to the citadel management and Yaqoobi, who have so far rejected it (which may help explain the director’s reticence about his last man). “I may have to get a lawyer,” Qader said.